Light Fall: 35% Discount on Steam for ESA Marathon! Light Fall is featured in one of the many speedruns of the ESA Marathon! Hello everyone! It’s a great pleasure and honor to announce that Light Fall is featured during the ESA Marathon for the Save the Children Foundation! The European Speedrunner Assembly (ESA) organizes numerous speedrun marathons every year to raise money for different charities. One of our fans, the talented speedrunner Dedew, will be on the stream on July 26th 10:25 EDT / 16:25 CET. Do not miss out his run as we’re sure it will be incredible! The stream can be found here. It is a great cause and we are honored to be part of it, even in a small way. We encourage everyone to check out the stream during the event! You can see the full schedule here. 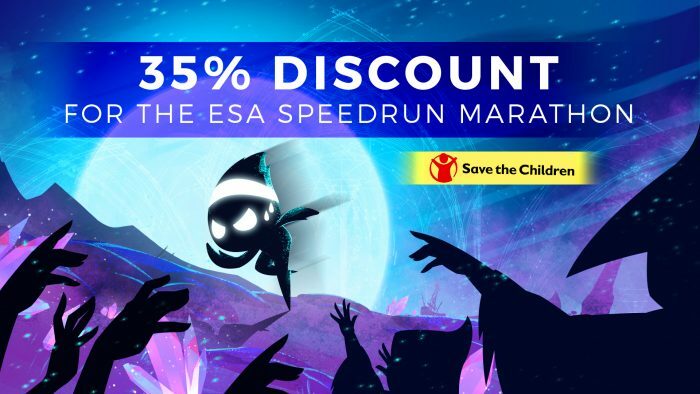 To encourage all the great runners, we have decided to put a 35% discount on the game for the remainder of the ESA Marathon. The discount will begin today at 13:00 EDT and end on Sunday (July 29th). Moreover, 20% of all the Light Fall sales on Steam will go to the ESA Marathon and Save the Children! Share the news or purchase the game if you haven’t already to help us provide for children all over the world! Feel free to drop by our official Discord to talk about the event and Dedew’s speedrun! The more the Merrier!